Throughout this post I’ll be referring to Pine Bark Extract or Pycnogenol. Assume I’m talking about the same extract. On a molecular level, Pine Bark Extract helps with oxidative stress, membrane damage, DNA damage, inflammation and glycation. How does Pine Bark Extract Work in the Brain? How does Pine Bark Extract feel? 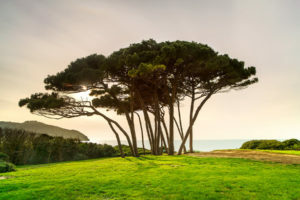 Pine Bark Extract is a unique nootropic supplement derived from the bark of the French maritime pine tree (Pinus pinaster) which is native to the Mediterranean region. Pycnogenol® is a patented form of Pine Bark Extract which is standardized to 65-75% procyanidins. Oligomeric proanthocyanidins (OPCs) are also found in high concentrations in wide variety of plants. Including apple, pear, grapes, chocolate, wine and tea. Inflammation – Pycnogenol inhibits proinflammatory gene expression. [vi] The type of inflammation implicated in diseases like Alzheimer’s. Oxidative stress – Free radicals damage DNA and brain cell membranes by causing inflammation. This inflammation is implicated in neurocognitive disorders like Alzheimer’s and Parkinson’s. Pycnogenol reduces free radical production, boosts neuron’s natural antioxidant defense systems, and is a potent free radical scavenger. The active polyphenols called proanthocyanidins in Pine Bark Extract easily cross the blood-brain barrier. Pine Bark Extract boosts brain health and function in several ways. But two in particular stand out. 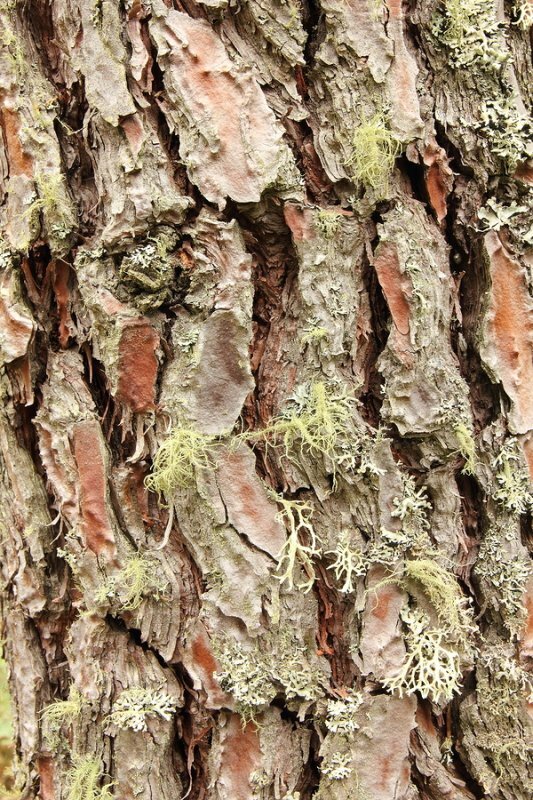 Pine Bark Extract boosts cerebral blood flow. Pine Bark Extract’s main active component are water-soluble polyphenols. Including bioflavonoids catechin and taxifolin as well as phenol carbonic acids. Antioxidants like bioflavonoids enhance blood vessel nitric oxide (NO) synthase expression. Which then releases NO from endothelial cells (blood vessels linings). It’s a little difficult to measure blood flow in the brain. So researchers conducted a double-blind, randomized, placebo-controlled study using Pycnogenol to study forearm blood flow responses to acetylcholine (ACh). The study was with healthy young men before and after 2 weeks of 180 mg per day of Pycnogenol, or a placebo. The group of men using Pycnogenol experienced a significant increase in blood flow. Pine Bark Extract boosts cognition. 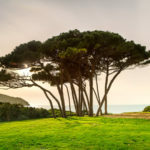 Neurohackers report that supplementing with Pine Bark Extract or Pycnogenol has a significant effect on memory, focus, decision-making and mood. And researchers verified this in a clinical setting. In this study, 60 participants aged 35-55 volunteered to work with researchers. Diet, alcohol and lifestyle patterns, including exercise, were controlled. Half the group received 50 mg of Pycnogenol 3-times per day for 12 weeks. The other half simply followed a healthy lifestyle. After 12 weeks of Pycnogenol supplementation, results showed a 16% increase in mood, an 8.9% increase in mental performance, 13.4% increase in sustained attention, and a 30% decrease in oxidative stress. 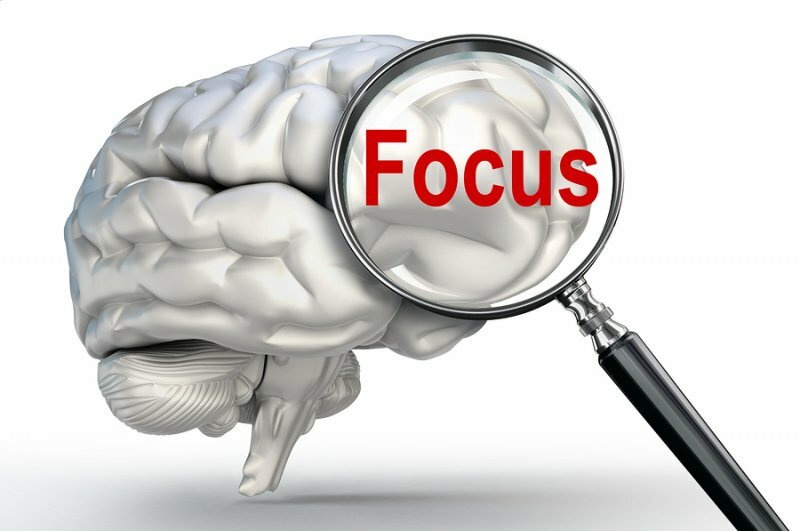 This decrease in attention span can have a profound effect on productivity and quality of work produced. So supplementing with Pycnogenol could be the simplest way to dramatically increase your productivity and income. And get that next promotion. Poor cerebral blood flow, inflammation and free radicals (oxidative stress) can damage your brain. And one of the ways this manifests is memory loss. Left unchecked, it can develop into serious neurodegenerative diseases like Alzheimer’s and Parkinson’s Disease. Pine Bark Extract and Pycnogenol are Oligomeric proanthocyanidins (OPCs). And OPCs have been extensively researched since the 1940’s. Professor Jacques Masquelier published his doctoral thesis in 1948 on OPCs, phytochemistry and human health. Masquelier discovered that OPCs could neutralize free radicals which were identified in a number of degenerative conditions and age-associated changes in the body. He found that OPCs were potent antioxidants. Pine Bark Extract and the patented Pycnogenol are powerful, multi-modal defenses against aging, diseases and overall brain health. Pycnogenol and Pine Bark Extract are one of the most potent antioxidants ever discovered. Many neurohackers report having more energy. And an improved attitude while using this supplement. The effects of Pine Bark Extract are often not felt immediately. But seem to build over time. For some, you could feel a boost in energy about 6 hours after taking it. Adding Pine Bark Extract to your stack should have you thinking faster and clearer. You may get more done. And stay focused on things longer until you’re able to finish them. But chances are you may not ‘feel’ anything at all. Until later you realize that you feel ‘normal’. And find you’re able to recall words and names much more easily. Over the long-haul you may realize you have more stamina and energy. It simply makes you feel good. Long term users say they consistently feel calmer, can think quicker and have better memory. Australian researchers worked with 101 patients (aged 60 – 85 years) in a double-blind, placebo-controlled study. Participants received 150 mg of Pycnogenol daily for 3 months. This 12-weeks study was conducted in Italy with 60 professionals aged 35-55 years. Half the group received 150 mg per day of Pycnogenol. And the other half took a placebo. At 12 weeks the improvement in the Pycnogenol-group was more significant than the controls. Free radicals were reduced by 30.4%. The group showed improvement in spatial memory retention. Alertness, anxiety and contentedness all improved. Another study in Italy was done with university students. The objective of the study was to test supplementation with Pycnogenol on cognitive function, attention and mental performance. 53 students (18-27 years) were given Pycnogenol for 8 weeks. Another group of students took a placebo. The study found that the students who used the nootropic experienced better sustained attention, memory, executive function, and mood. Several studies have been conducted with Pine Bark Extract and its effects on those with ADHD. One study in the Slovak Republic gave ADHD children either a placebo or Pycnogenol for one month. 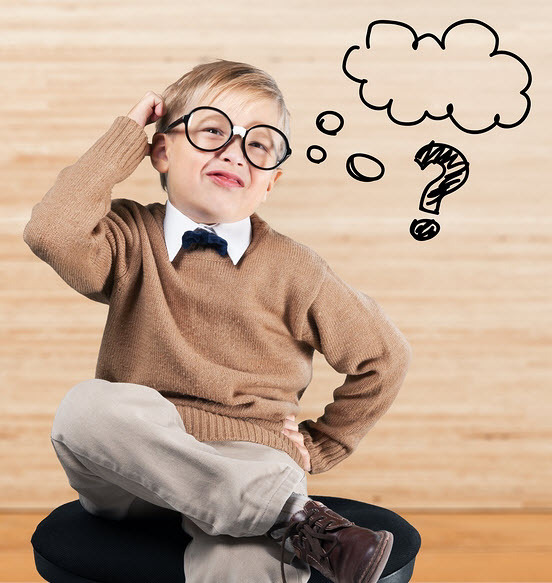 Research has shown that concentrations of catecholamines (dopamine and norepinephrine (NA)) were higher in urine of ADHD patients compared to healthy children. Higher concentrations of NA correlated with degree of hyperactivity. And both adrenaline and NA concentrations correlated with higher blood levels of oxidized glutathione (GSSH). Another study in Slovakia was conducted with 61 ADHD children. The kids were given 1 mg/kg/day of Pycnogenol for 4 weeks in this randomized, placebo-controlled trial. The children were examined at the beginning of the trail. And tested again one month later. Results of the study showed those who used Pycnogenol had a significant reduction in hyperactivity, improved attention and visual/motor skills, and better concentration. Recommended dosage of Pine Bark Extract containing 95% proanthocyanidins is up to 100 mg 3-times per day. Or 1.4 mg per pound of body weight. So if you’re 200 pounds, your daily dose would be 280 mg.
Higher dosing should be divided equally with your first dose in the morning, next dose at noon and a dose mid-afternoon. Pine Bark Extract is water-soluble so can be taken with water or mixed in a smoothie. Side effects for Pine Bark Extract and Pycnogenol are rare when taken in doses from 50 – 450 mg daily. Very rarely will you experience dizziness, stomach problems, headache or mouth ulcers. Pycnogenol can boost your immune system. So if you’re on medication for auto-immune diseases like multiple sclerosis (MS), lupus, rheumatoid arthritis and others. Or taking an immune suppressant for an organ transplant. You should avoid using Pine Bark Extract or Pycnogenol. High doses of Pycnogenol may increase bleeding if you are dealing with a bleeding condition. Very high doses of Pycnogenol may decrease blood sugar too much if you’re dealing with diabetes. Pycnogenol may slow blood clotting. So stop using this nootropic if you’re planning on having surgery or dental work. And while there is no “scientific evidence”, we have user reports that Pine Bark Extract seems to amplify the effects of alcohol. So caution is advised when using Pine Bark Extract while consuming alcoholic beverages. The bioactive component of Pine Bark Extract are proanthocyanidins. Pycnogenol is standardized to 65-75% proanthocyanidins. Regular Pine Bark Extract is often standardized to 95% proanthocyanidins. Individual Pine Bark Extract supplements are available as a powder, capsules and tablets. Check the label for the concentration of proanthocyanidins. Pine Bark Extract can also sometimes be found in some of higher quality pre-formulated nootropic stacks. For example, Mind Lab Pro® contains 11 brain enhancing nootropic compounds including Pine Bark Extract standardized to 95% proanthocyanidins. Another good option is Performance Lab® Mind which also contains Pine Bark Extract (standardized to 95% proanthocyanidins). We recommend using Pine Bark Extract or Pycnogenol as a nootropic supplement. Your body does not make Pine Bark Extract on its own. So you must take it as a supplement. Pine Bark Extract easily crosses the blood-brain barrier and is available within an hour of taking it. Effects are more typically felt within 6 hours of taking it. Pine Bark Extract is especially helpful for those suffering from brain fog or memory loss. It helps increase cerebral blood flow and brings more oxygen and nutrients to brain cells. Pine Bark Extract is helpful for those dealing with ADHD. Research shows the extract helps prevent the elimination of dopamine and norepinephrine from your system. Which is a common problem with those dealing with ADHD. Taken for ADHD symptoms, Pine Bark Extract helps reduce hyperactivity, improves focus and attention, improves memory and puts you in a better mood. Pine Bark Extract is also helpful for those suffering from Alzheimer’s. It has been shown to boost blood flow to areas of the brain affected by amyloid-β protein aggregation. And even may prevent the proteins from forming. Pine Bark Extract helps tame inflammation associated with diseases like Alzheimer’s. And studies are now underway to determine if Pine Bark Extract can help prevent Alzheimer’s from taking hold in the first place. You can safely take up to 450 mg of Pine Bark Extract (95% proanthocyanidins) daily if needed. Half the dose first thing in the morning. And the other half at noon. And your final dose mid-afternoon. And for memory, Pine Bark Extract is great to stack with most of the racetams. Neurohackers also report good success stacking the extract with Bacopa Monnieri, Lions’ Mane, and Rhodiola Rosea. You can buy individual Pine Bark Extract supplements. Or you could try my favorite pre-formulated nootropic stack Mind Lab Pro® which includes Pine Bark Extract (standardized to 95% proanthocyanidins). Another good option is the Mind formula by Performance Lab® which also contains Pine Bark Extract (standardized to 95% proanthocyanidins). You can see my full review of Performance Lab® Mind here. Excellent article David. Thank you. I would like to mention a side effect of pycnogenol that I have never seen it mentioned anywhere and people should be aware. It really amplifies the effect of alcohol. I would feel dizzy with 1/4 of the alcohol amount than normally. I think the reason is twofold, first because it improves blood flow in the brain (athletes usually have similar issues with alcohol) and also because it really improves the blood flow in the inner ear, which is responsible for the sense of balance. So, when I am taking it I just have to drink much less. On the other hand, it has amazing benefits and I can attest on the attention enhancement, skin radiancy and treatment of Ototoxicity. Magda, thanks for your report. That is one side effect I have not come across but it makes perfect sense. And I will update the side effects section of this review. Much appreciated. He mentioned about the alcohol effect in this article. Hi David, I would like to know which brand presents the best. So far, I have tried Masquelier’s original OPC and extract, and pycnogenol featured in Life-extension. Are they both the same? which one does contain high-percentage of content? Any opinions on this? Aki, Pycnogenol is a branded form of Pine Bark Extract standardized to 65 – 75% proanthocyanidins. Oligomeric proanthocyanidins (OPCs) is another name referring to the same compound found in maritime pine bark and some other plants. So it’ll be the same compound in both but I do not know the extract strength used in Masquelier’s product. Find out what percentage it is and if they guarantee that strength. That’s the only real way to compare the two. Thank you very much for all the interesting information that you are providing to us! I would like to ask a question about the “pine bark extract”. In Germany we are not really used to “pine bark extract” and it is not easy to buy it here. In Germany “grape seed extract” is a quite common supplement which also contains a high percentage of polyphenols. These polyphenols contain a substance called “OPC = oligomere proanthocyanidine”. Also about “OPC” it is published that is an extremely potent antioxidant (according to the ORAC-index even more powerful compared to “pine bark extract”) and that it also improves blood-flow, … next to a lot of other beneficial effects. Unfortunately I don’t know if “blood flow” also means “blood flow in the brain” which is important to me. I would like to integrate a vasodilator into my actual nootropic stack. I was thinking about “vinpocetine” or “ginkgo biloba” but I am taking grape-seed-extract (700mg GSE = 300mg OPC) anyway because of healthy reasons. If this is redundant with “pine-bark-extract” or “vinpocetine” concerning the effect on the blood-flow in the brain than I would like to stay with my OPC. Do you have any information about “grape seed extract = OPC” and could you tell me if it also improves the bloodflow “in the brain”? Christoph, Pine Bark Extract contains proanthocyanidins which provide its benefits to brain health. Proanthocyanidins are also found in other fruit, plants and nuts. Including grape seed extract. Both have been shown in clinical studies to boost blood flow including in the brain. If you can find a grape seed extract that is ‘guaranteed” to contain a specific level of proanthocyanidins you’ll now you should be experiencing its benefits. That’s why Pycnogenol is a preferred option because it is guaranteed to contain 65 – 75% proanthocyanidins. I personally prefer Vinpocetine for boosting cerebral circulation. I can actually ‘feel’ the difference when using Vinpocetine. Not so much with Pine Bark Extract. Your experience may be different than mine so I suggest experimenting with both (if you can get a high quality Pine Bark Extract like Pycnogenol). Taking both would be redundant I think. Not so much with Ginkgo because it offers other benefits not provided by Pine Bark Extract or Grape Seed Extract. Every time I use Pine Bark Extract, I get tired, light headed and dizzy. I’m assuming it’s because it lowers blood pressure. I already have low pressure to begin with, that causes these symptoms, usually around 90/50. I was really hoping it would work for me. On to the next one… Great post by the way! Melissa, what were you trying Pine Bark Extract for? Maybe I can help you find something else. Kenneth, you’d need to check with your doctor of pharmacist on this because Pine Bark Extract boosts blood flow. Which means if you are using some meds including blood thinners it could cause problems.